Managers of our exhibiting partners. 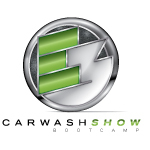 Visit http://www.carwash.org/e3-series/car-wash-show-boot-camp to view the full article online. If there could be just a few more hours in the day, you’d have a lot of happy entrepreneurs. A recent survey from OfficeMax shows that small businesses want to spend three hours more each week on activities that will help grow their companies – but just don’t have the time. The survey also shows that administrative demands are sapping the time that could otherwise be spent growing the business. Visit http://smallbusiness.foxbusiness.com/legal-hr/2013/11/04/survey-small-business-owners-waste-4-billion-hours-each-year/ to view the full article online. The number of U.S. small businesses planning to start to offer health coverage for their employees next year slightly exceeds the number that expect to drop coverage, even as costs continue to rise, according to a survey by the National Federation of Independent Business. Visit http://www.reuters.com/article/2013/10/31/us-usa-healthcare-smallbusiness-idUSBRE99U18T20131031?feedType=RSS&feedName=smallBusinessNews&utm_source=feedburner&utm_medium=feed&utm_campaign=Feed%3A+reuters%2FsmallBusinessNews+%28News+%2F+US+%2F+Small+Busines to view the full article online. Social media dominates the news these days, with experts of all stripes offering glib advice on how to grow your business by becoming an online "star," by putting yourself "out there," and by "building relationships" with everyone you encounter. But what if, like half of the U.S. population, you’re an introvert? Visit http://blog.intuit.com/marketing/business-building-for-introverts/?utm_source=feedburner&utm_medium=feed&utm_campaign=Feed%3A+IntuitBlog+%28Intuit+Small+Business+Blog%29 to view the full article online. The key to coming up with great content is creating a system for producing it, and then sticking to that system every time. Visit http://www.inc.com/michael-schein/market-your-business-the-marvel-comics-way.html to view the full article online. A home town boy makes good and wins an award for designing a distinctive local car wash. Architect Josh Howa of Howa Design in Boise grew up in Twin Falls. Howa came up with the idea for the Rocket Express Car Wash together with owners Joe and Janet Russell almost four years ago. Visit http://www.kmvt.com/news/latest/Car-Wash-Wins-Design-Award-230128001.html to view the full article online. The Lafayette Car Wash & Detail Center is definitely a family affair. Blake Wellen now oversees the day-to-day operations at the business his father, Jesse, bought in 1990. Visit http://lamorinda.patch.com/groups/business-news/p/its-all-in-the-family-at-the-lafayette-car-wash to view the full article online.